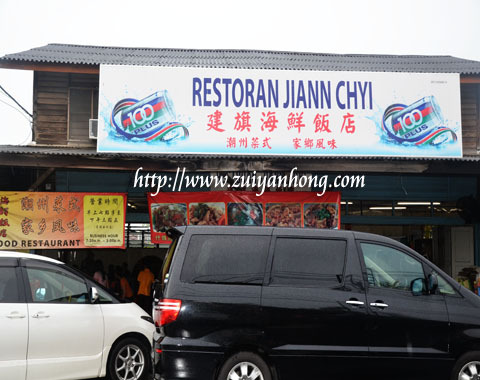 In case you are around in Sekinchan, you can try the shark porridge at Jiann Chyi Restaurant. 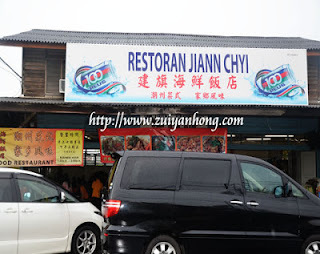 During my trip to Sekinchan, I enjoyed my dinner at Ten Tian Lai Restaurant and savored shark porridge for my breakfast at Jiann Chyi Restaurant. 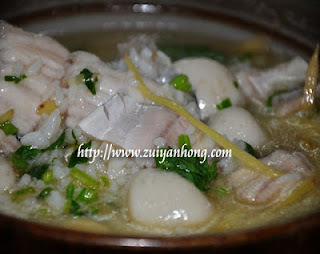 As I had eaten shark meat before so this shark porridge was not so special to me. After taking the shark porridge, I rushed to the toilet of Purple Town Hotel to solve my stomach problem. I was not certain whether the Chinese tea or the shark porridge caused my stomach irritable.